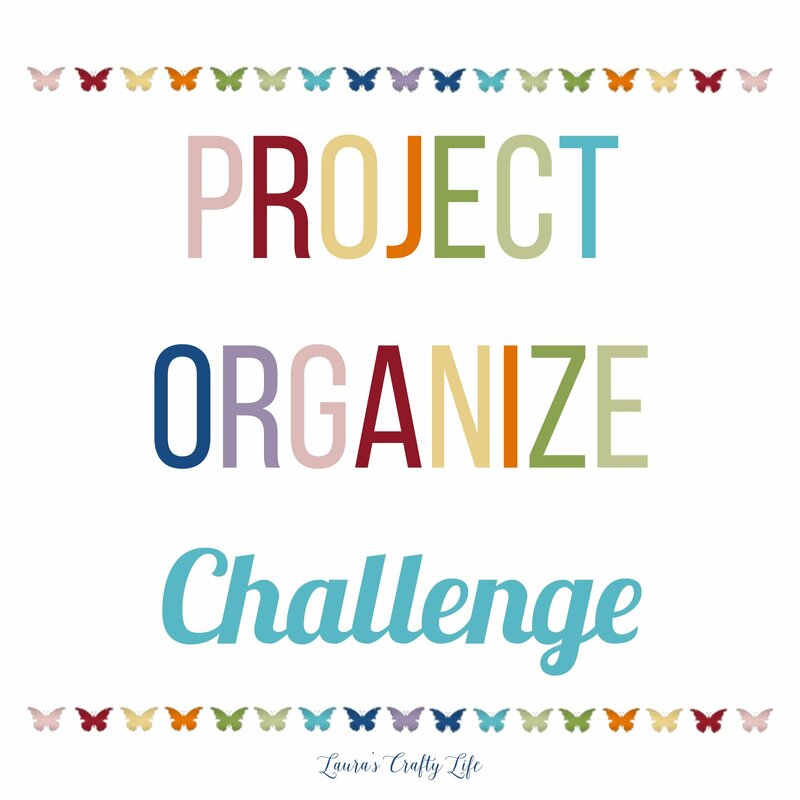 Friends, I am so excited to announce the Project Organize Challenge! If you are part of the Creative Community or Instagram, you may have already watched my live videos about this exciting announcement. I recently went to Snap Conference which is a conference for creative bloggers, entrepreneurs, and business owners. I always come back with new ideas and feeling really inspired. This year, my biggest takeaway is figuring out my why and my purpose. I love blogging because I can help my family financially as well as be there whenever my kids need me with my flexible schedule. I can volunteer and go on field trips and be there for all their sporting events and practices. But . . . my bigger purpose for having this blog is to inspire people. My tagline is “craft a creative and well-lived life”. I love being able to share my creativity. I hope I am able to encourage those of you that feel like you are not the most creative or get stuck in the how to that there are crafts and projects you, too, can do! It is equally important to me that I can inspire as many people as I can to have a well-lived life. This can look different for each of us. I want each of us to be able to focus on what is important to us. I think it is so important to carve out time for our true priorities in life, and that can sometimes get pushed aside with all the daily struggles and mundane aspects of life. We all can benefit from slowing down and simplifying. And I love creating a community with all of you here. What is the Project Organize Challenge? Several years ago, I started a series called Project Organize. We worked on several different areas, like paper clutter, setting up a command center, and where to start. One of the biggest parts of the series was working on the basics – things like doing dishes, laundry, and setting up routines and schedules. It was a fun series to do because I needed the kick in the pants myself to get back into a routine with all of these things. Once again, I find myself in a place in my life where I need a little extra motivation and accountability. So, this time around, we are going to do it together! Each week we will focus on a different basic organizational and household tasks until we have all these systems on auto-pilot. This series will last 8 weeks. I will be updating the original posts along the way as well as posting some other helpful tips as we go here on the blog. My kids are going to be out of school soon and we have a lot of big projects coming up around the house. We are hoping to get our master bathroom remodeled in the next 6 months. We also need to stain our back porch, chicken coop, and swingset. If these basic systems are not in place and running smoothly, they are the first things to go and then our entire household erupts in chaos. It is not a fun place to be in. 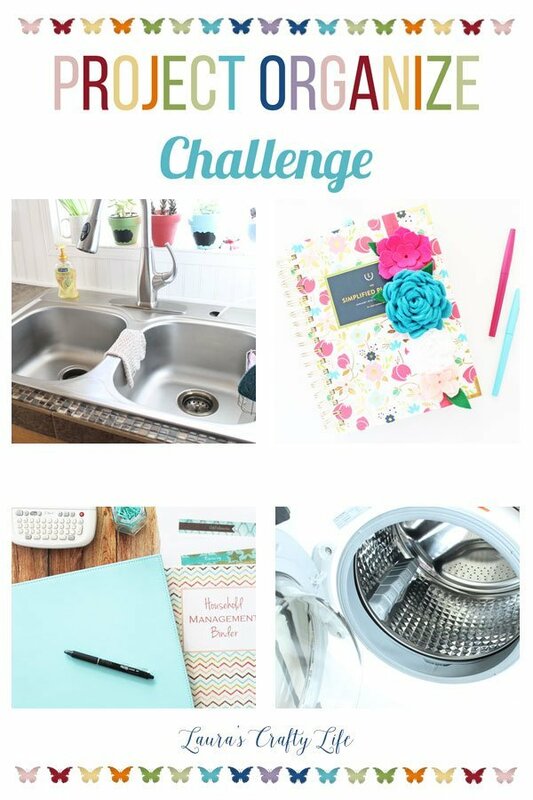 Join me in the Creative Community on Facebook where I will be posting each week’s challenge and we will be encouraging each other to work on that week’s task. We will have opportunities to share photos, encouragement, and ask questions. You can also post your progress on Instagram using the hashtags #projectorganize and #laurascraftylife. What if I Already Have a Good Handle on these Basics? I would still love you to join us and participate. I think having multiple points of view on what works for each person can be so helpful and beneficial for those of us that are still struggling. What works for me, may not work for someone else. But what you are doing may be just the inspiration they need to make this process work! I am so excited you are participating. Hopefully, it will bring some calm and order to our lives so we have time for what matters.